When you are injured in a car wreck or are dealing with nagging chronic pain and need a chiropractor near you, come to our Marietta Clinic today for state of the art treatment. When you are involved in a Car Accident in Marietta, Ga; headaches, stiffness, memory problems, low back pain, and neck pain can continue for months. That's what makes finding the right Chiropractor in Marietta so important after an auto accident. In fact, many people are realizing that Chiropractic Treatments produce the quickest and longest lasting results following an auto accident. Chiropractic pain management at Arrowhead Clinic in Marietta, Ga office is specifically geared for victims after a car accident; our approaches to care are safe, gentle and always all natural. We achieve these results with spinal decompression therapy that uses intermittent spinal traction to take stress off injured vertebral joints while simultaneously hydrating your discs, Chiropractic Adjustments to facilitate proper motion in the joints, electrical stimulation to reduce muscular and nerve pain in localized areas and much more. Our chiropractic clinic is designed specifically for treating Marietta Car Accident victims. Our doctor's use their hands or a small instrument to apply a controlled, sudden force to a spinal joint. Why Choose Our Marietta Chiropractic Clinic? In preparation for your Free Consultation at Marietta's Chiropractic Care Center, you will be asked to fill out forms that provide background information about your medical history, current condition, and symptoms. With these symptoms, your quality of life and everyday tasks become quickly unpleasant. The help and care of a chiropractor can quickly relieve your pain and tension, allowing you to return to a healthy lifestyle. Based on the results of your chiropractic exam and previous medical history, diagnostic studies are helpful in identifying structural peculiarities to diagnose your condition more accurately and provide compelling evidence why and where you need Chiropractic treatment after an Auto Accident. From movement, blinking, and heartbeat, to regulation of hormones, breathing, and vision. Adjusting the spinal joint may (but not always) result in the release of a gas bubble between the joints, which makes a popping sound. The same thing occurs when you “crack” your knuckles. This natural noise is caused by the change of pressure within the joint, which results in gas bubbles being released. The posture correction and pain management protocols we use at ourMarietta Chiropractic office are state of the art. 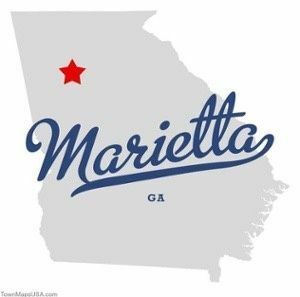 We serve the surrounding areas of Marietta, zip codes around 30064, and the individuals in East Cobb. If you were recently in an Auto Accident and are still experiencing symptoms, click the link below for a Free Consultation with one of our doctors at the Top Chiropractic Clinic near you in Marietta, Georgia. Dr. Lewis completed his bachelors degree in exercise science at Saint Augustine's University in Raleigh North Carolina. He attended Life University and received his doctor degree in chiropractic December, 2008. Dr. Lewis puts more emphasis on helping patients to restore their full quality of health from a chiropractic and nutritional standpoint. He is certified to perform a procedure called manipulation under anesthesia to restore spinal neurological dysfunction and extremity flexibility. His mission is to allow God to use his gifts, talents and abilities to help others increase the quality of their lives spiritually and naturally.